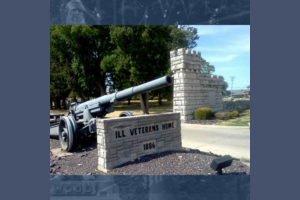 Illinois Governor-elect J.B. Pritzker says he intends to settle 12 of the lawsuits filed against the state of Illinois after repeated outbreaks of Legionnaires' Disease at the Illinois Veteran's Home in Quincy. That's according to Chicago radio station WBEZ, which is reporting that Pritzker made the statement Friday. The suits were brought by families of those who died of the disease at the Vets Home from 2015 through 2018. Pritzker’s comments came after state legislators approved raising the potential limit that the state could have to pay out in damages to $2 million. Out-going Republican Governor Bruce Rauner had opposed raising the limit that high, and has fought the families' lawsuits. He's denied that his office and his administration were negligent in addressing the Legionnaires’ outbreaks at the Vets Home. A lawyer for one of the families suing the state praised Pritzker's statement. Steven Jambois, who represents the family of Valdemar “Roy” Dehn says “It’s incredibly refreshing to see that a governor will acknowledge mistakes occur.” Dehn's family has also filed a lawsuit in Adams County against Blessing Hospital and four people associated with the Vets Home over his death. A hearing is set in that case later this month.